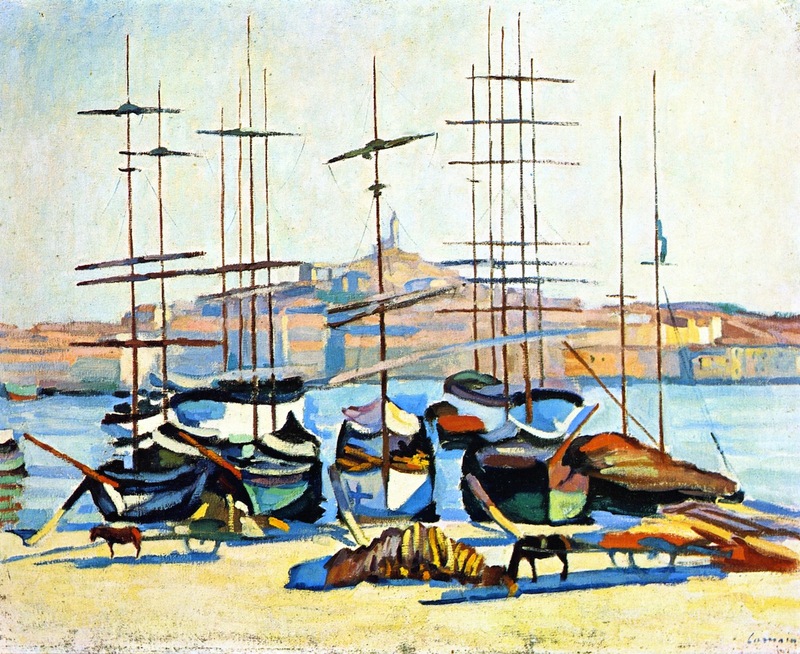 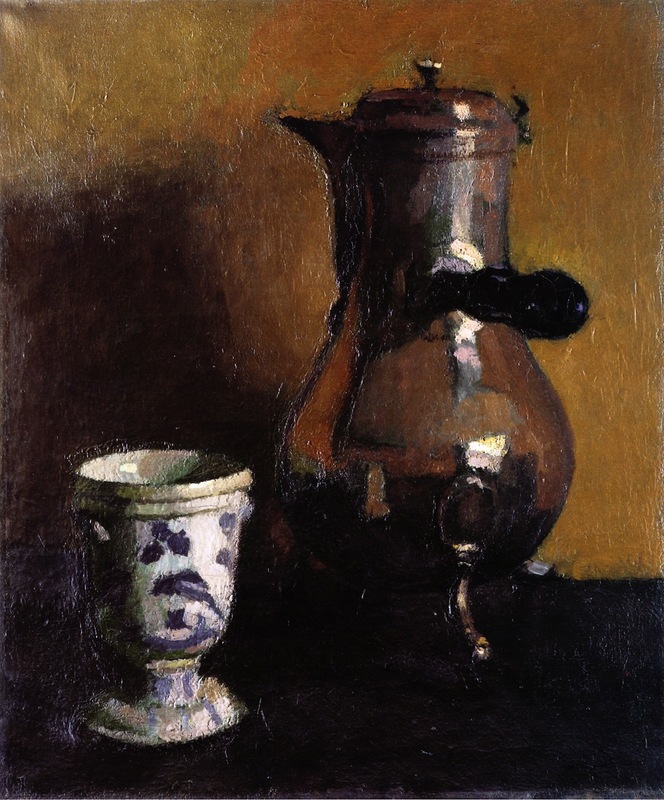 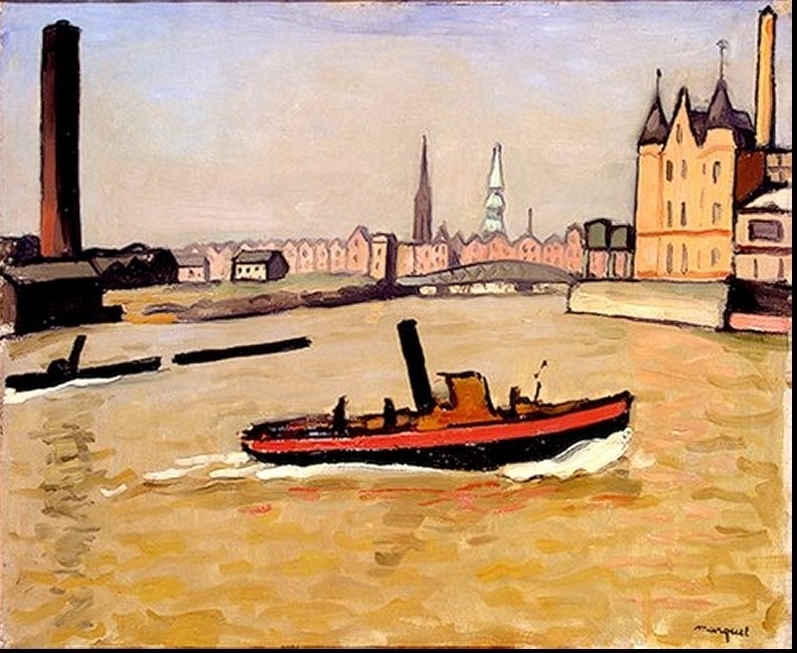 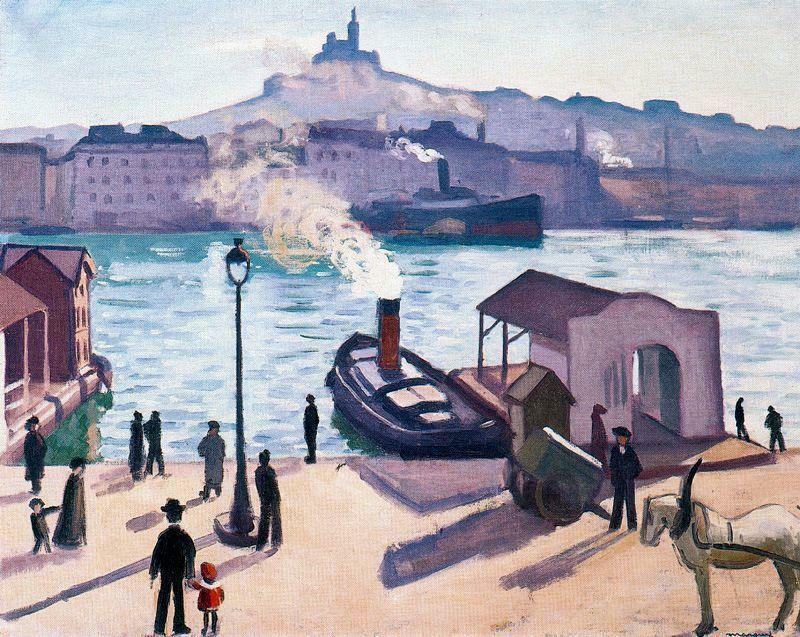 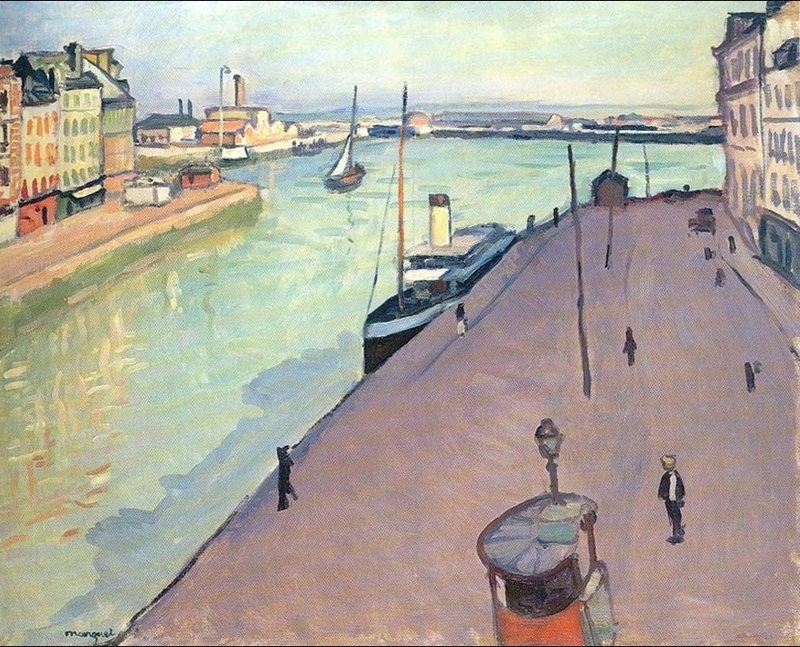 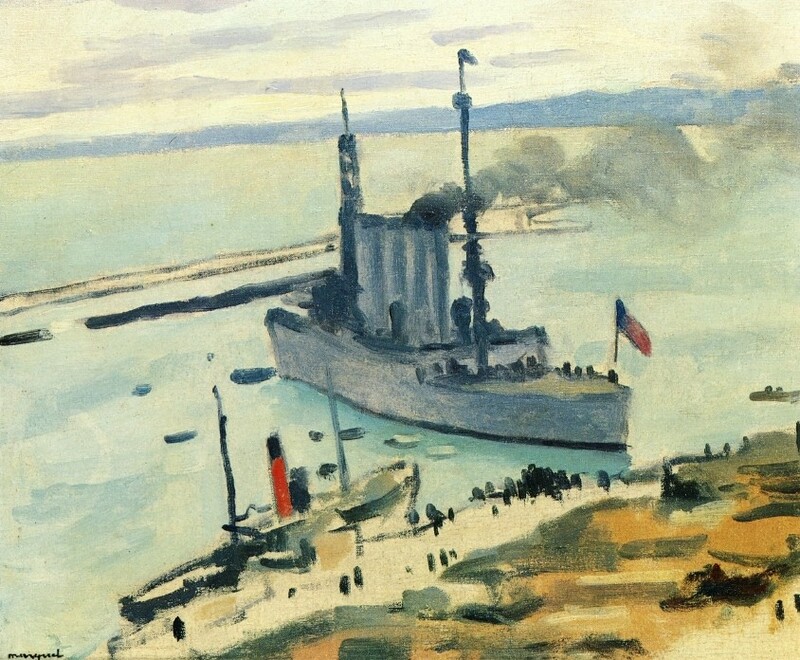 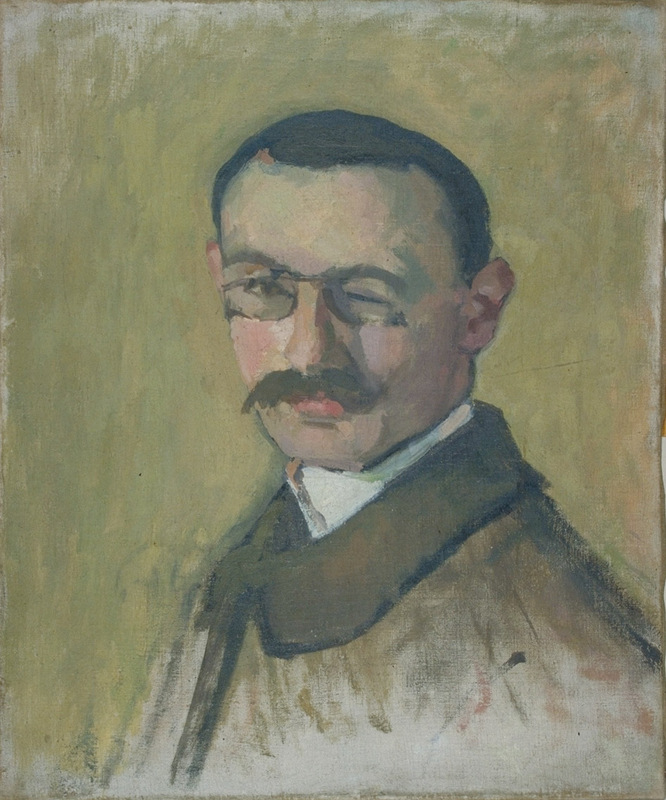 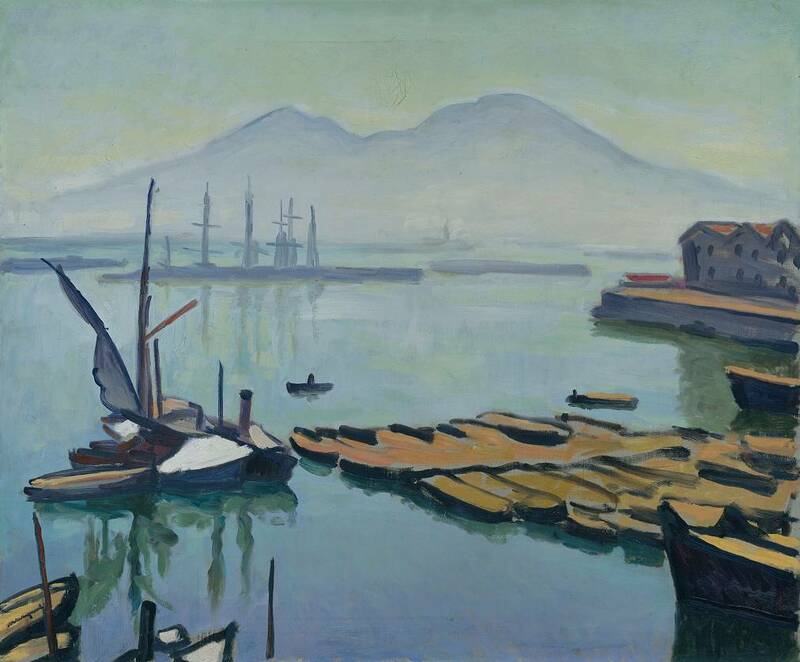 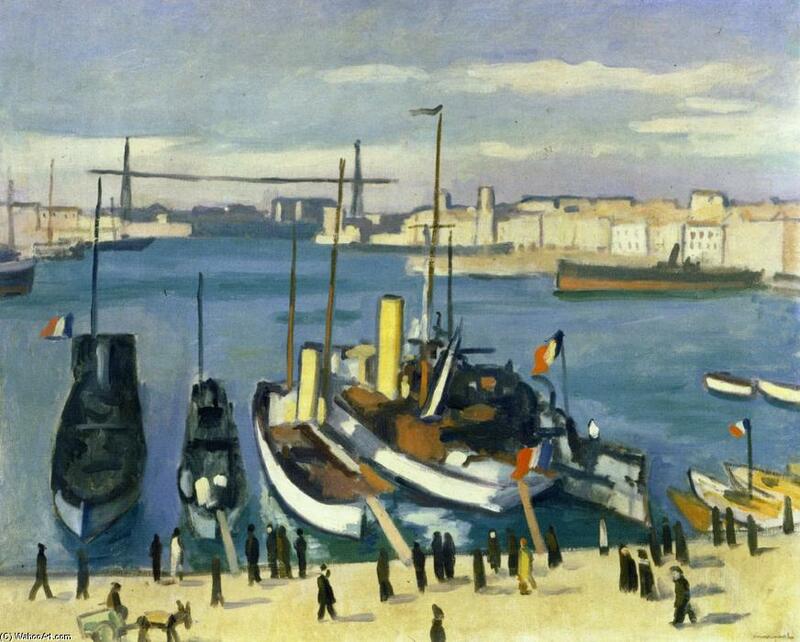 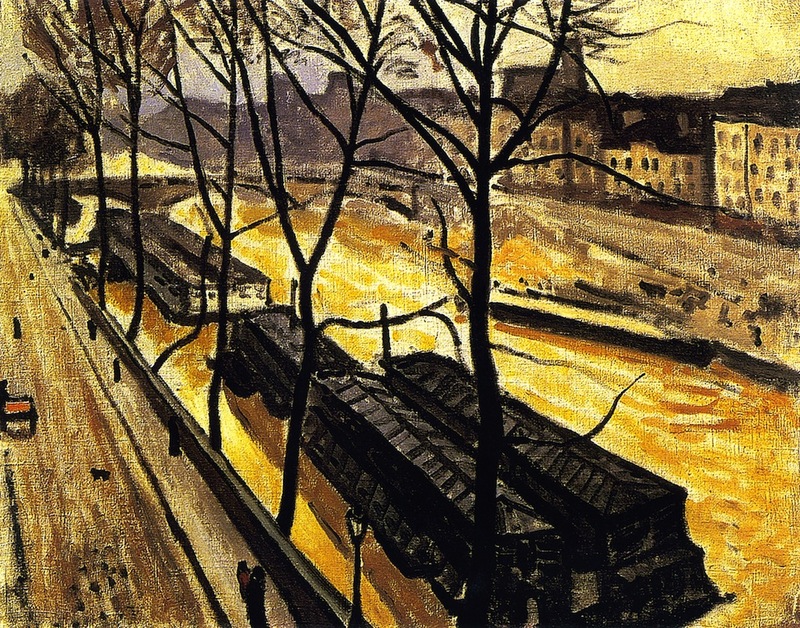 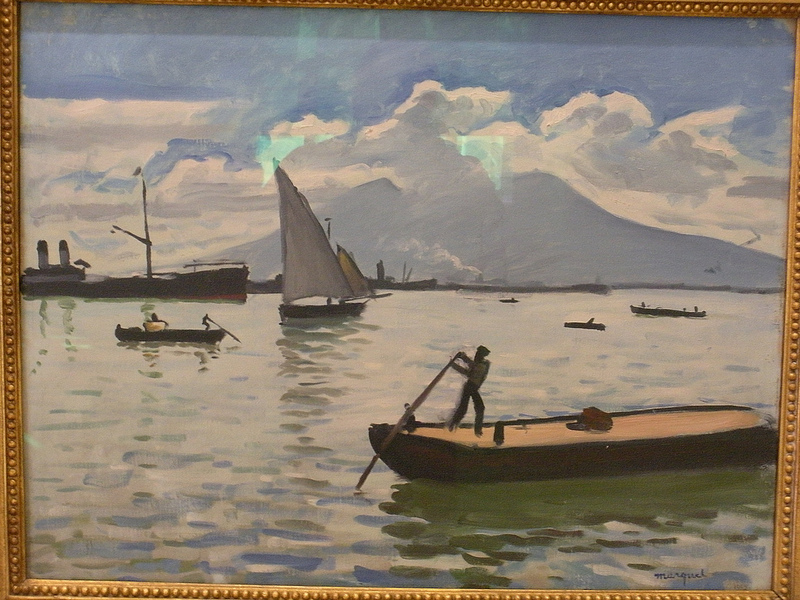 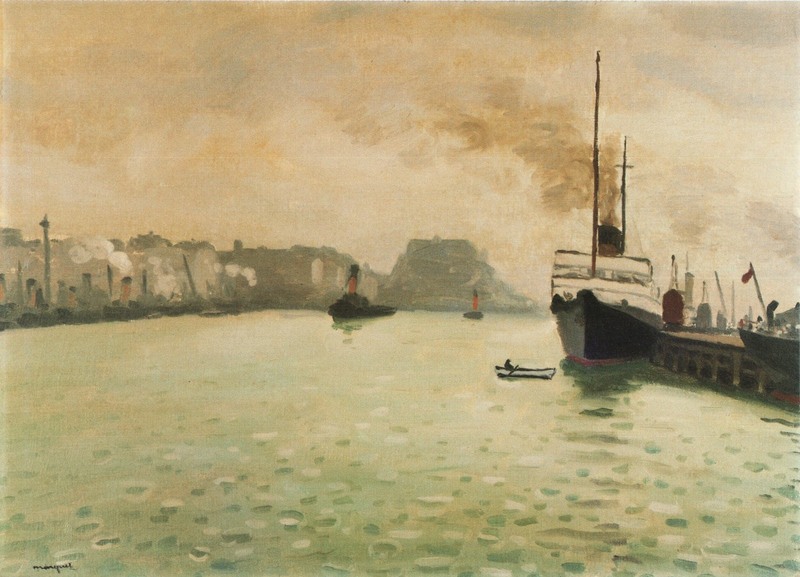 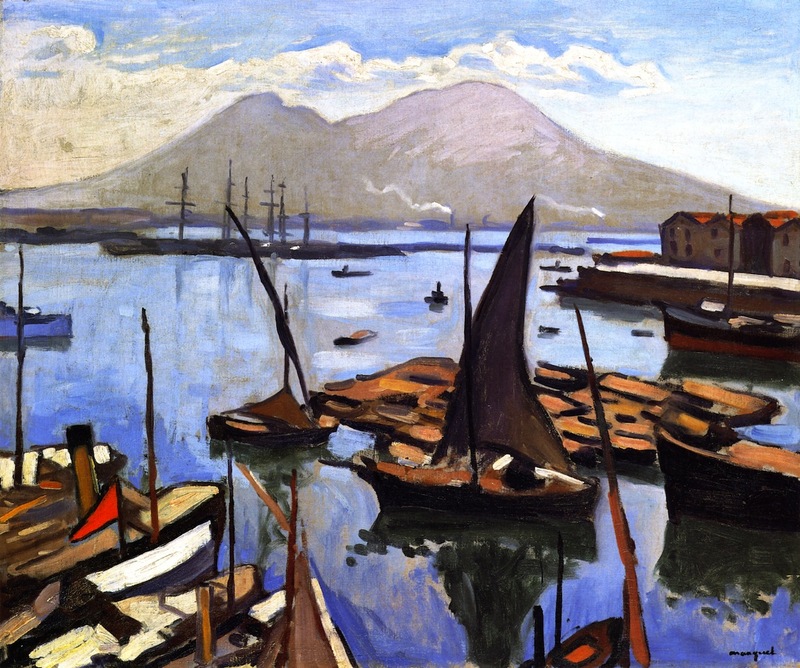 Albert Marquet (Bordeaux, 26 Mar. 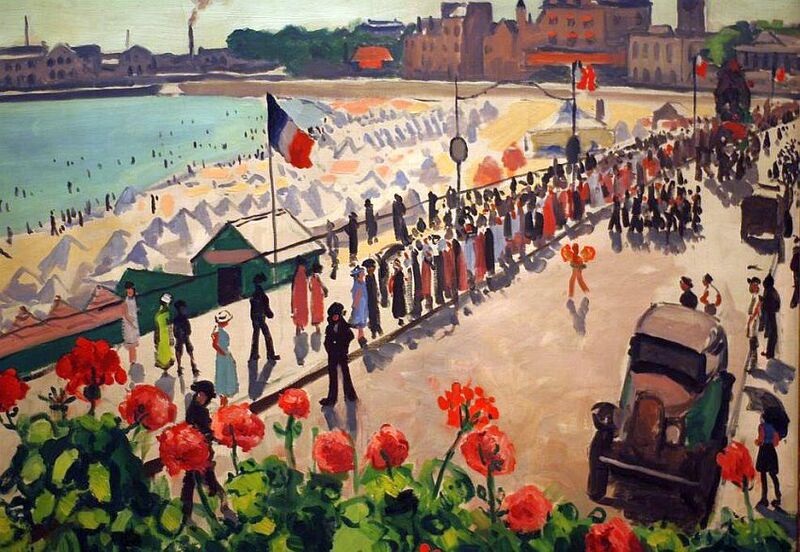 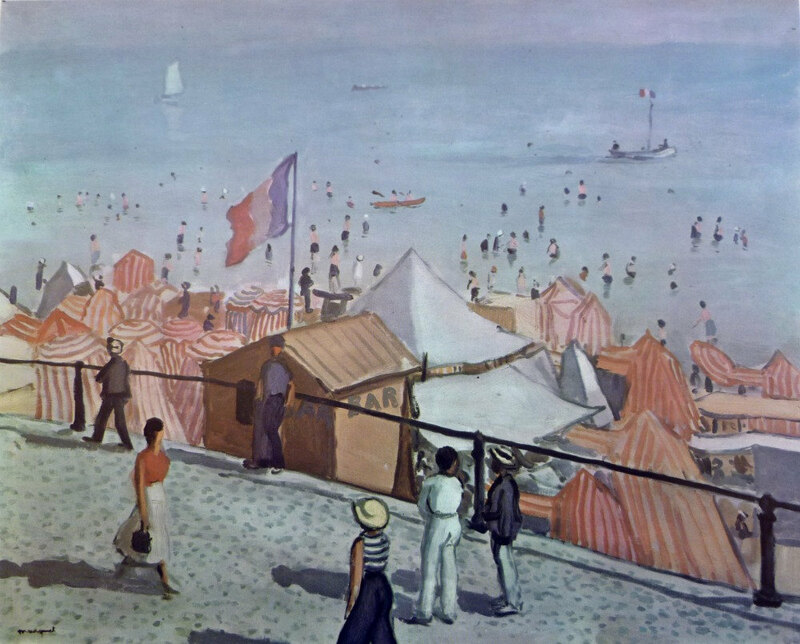 1875 - Paris, 14 June 1947) was a French painter and draughtsman. 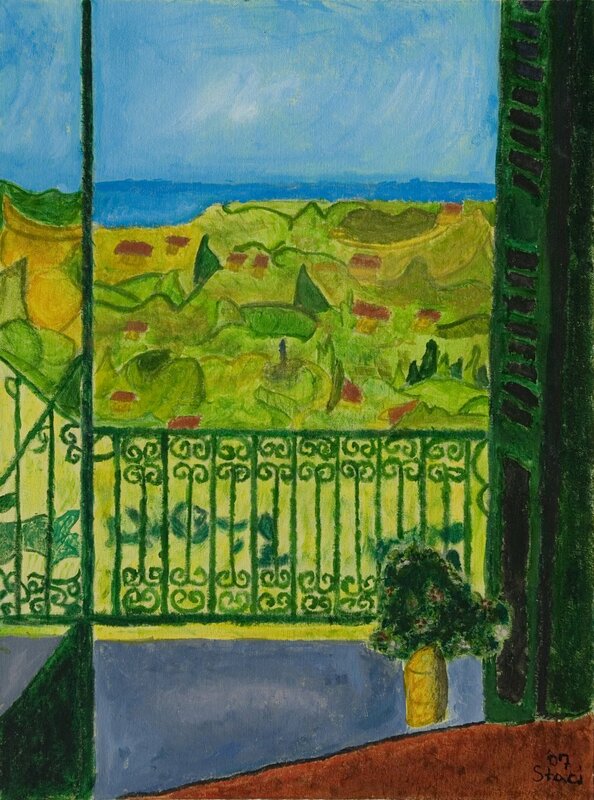 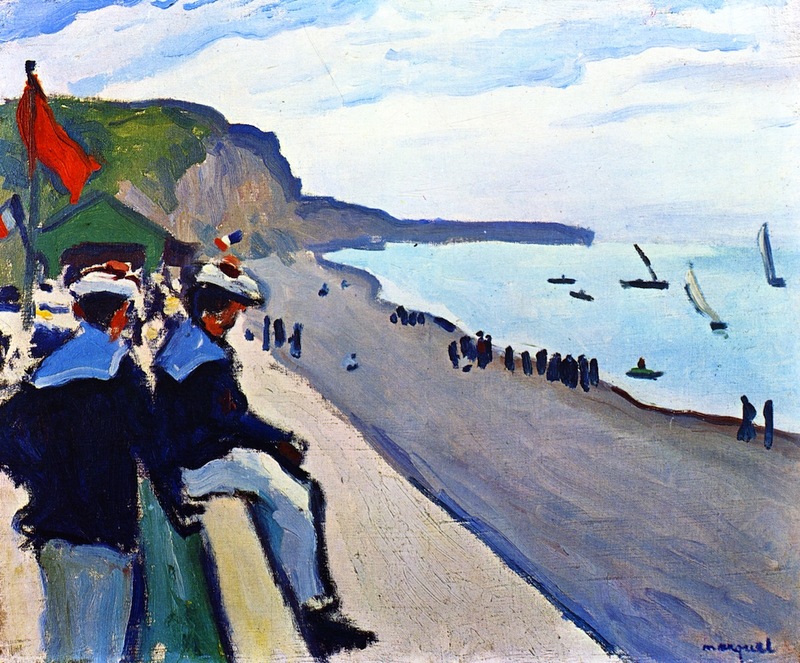 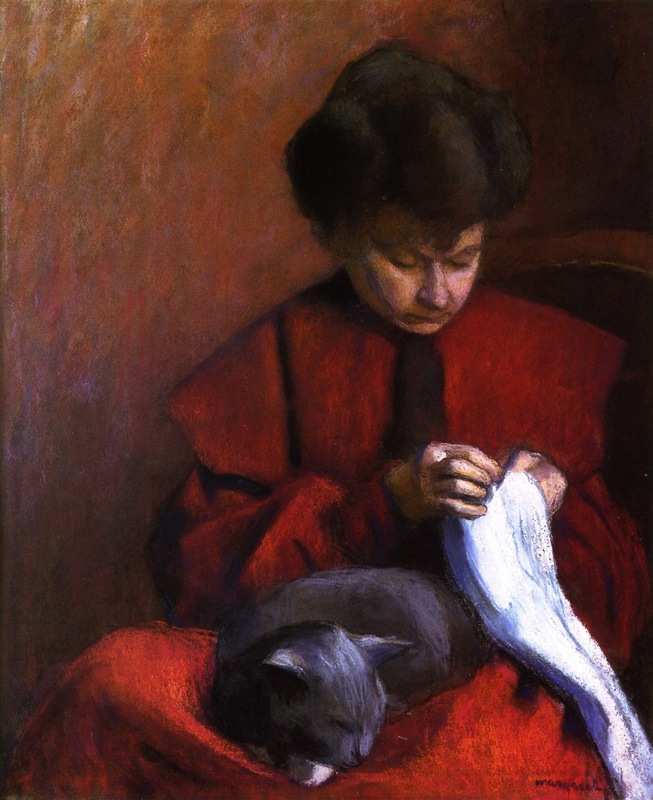 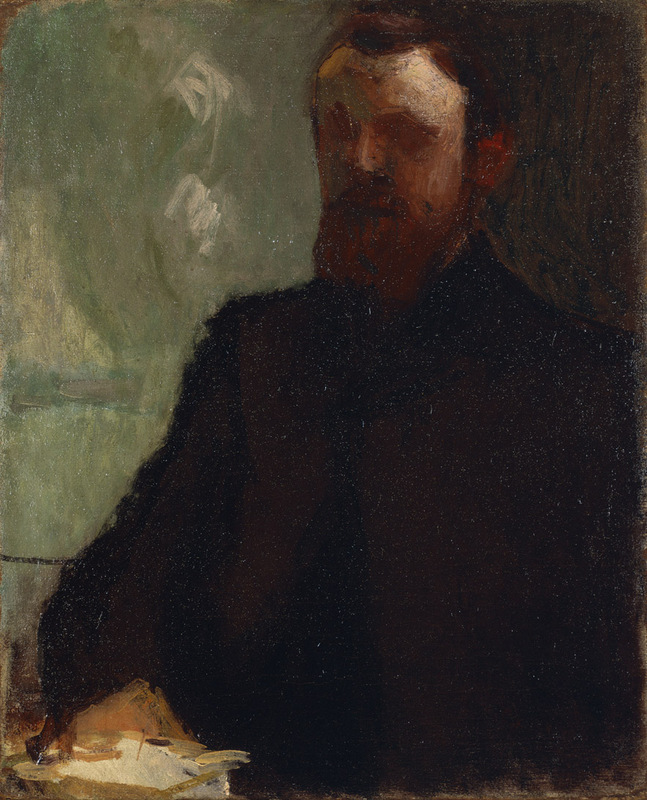 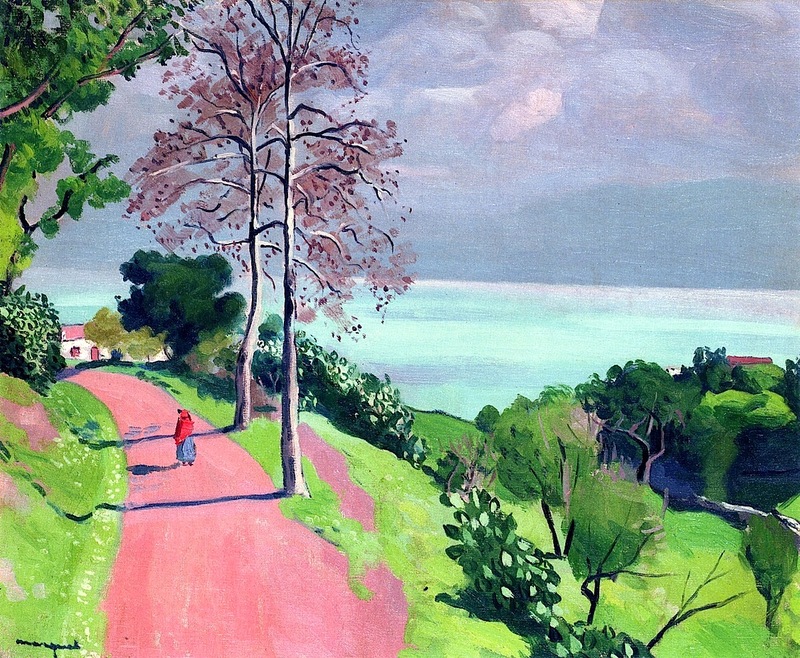 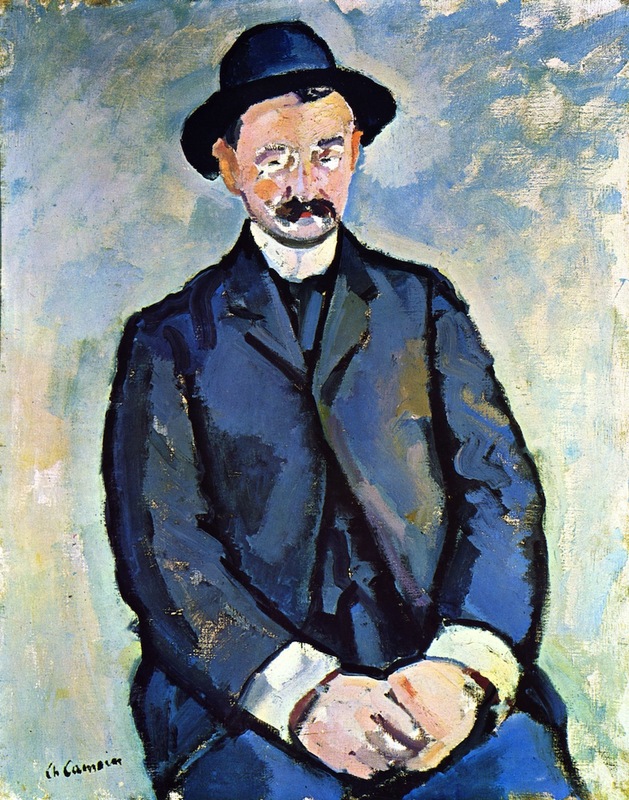 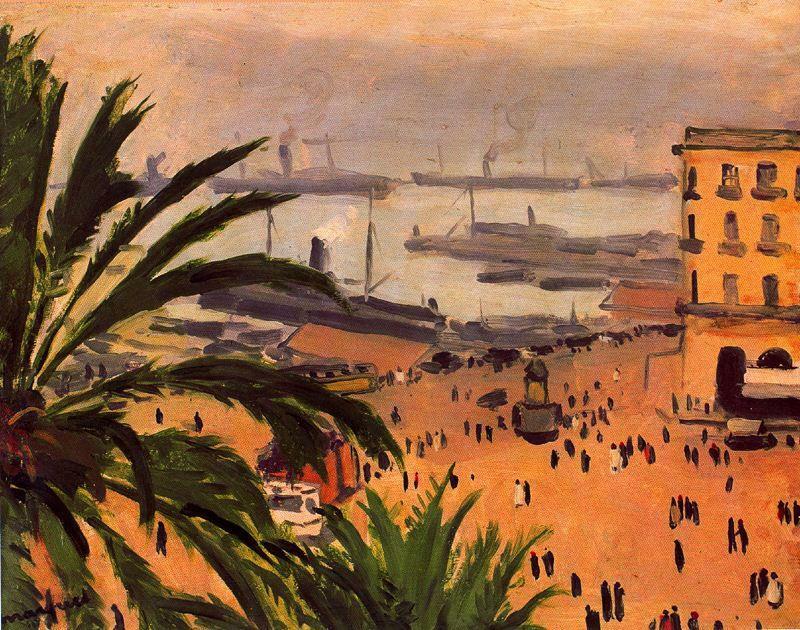 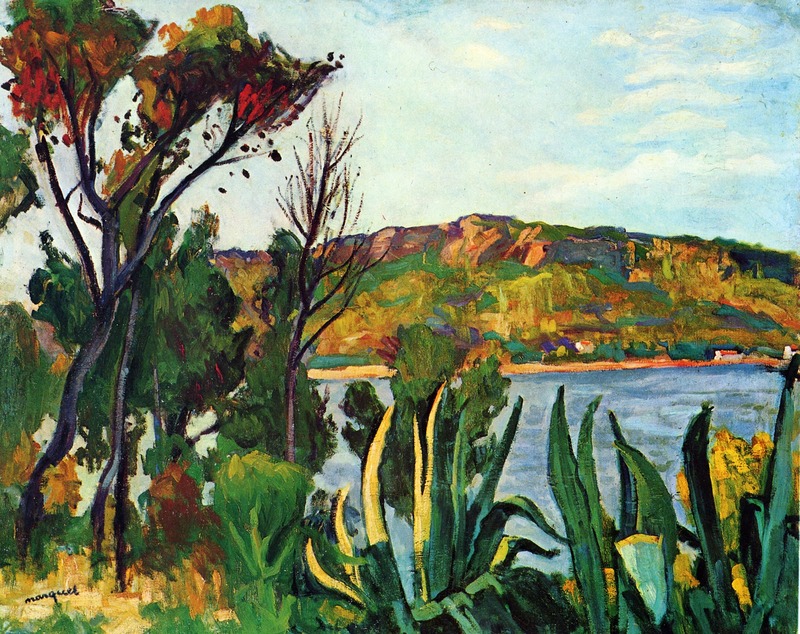 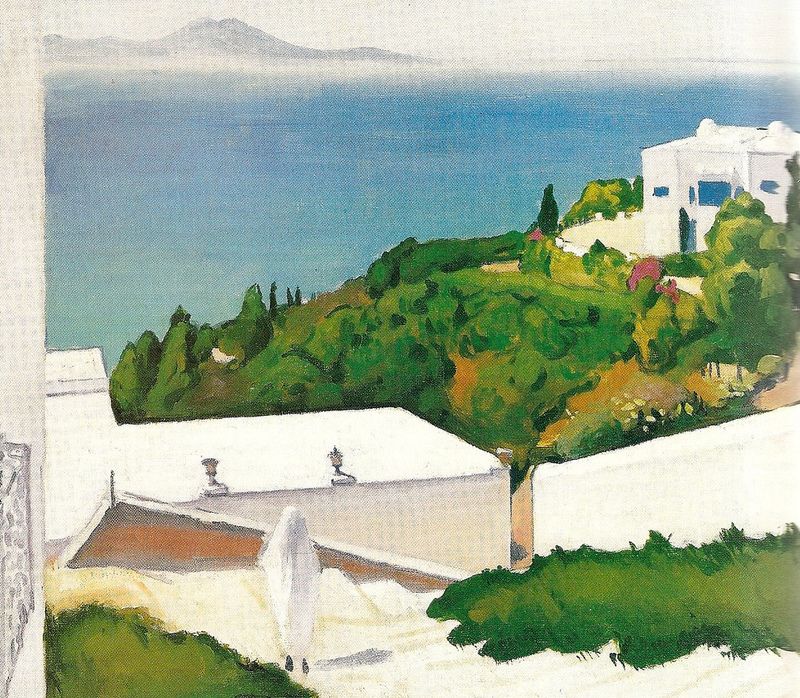 He was one of the Fauves, and for a time his boldness of colour almost matched that of Matisse (his lifelong friend). 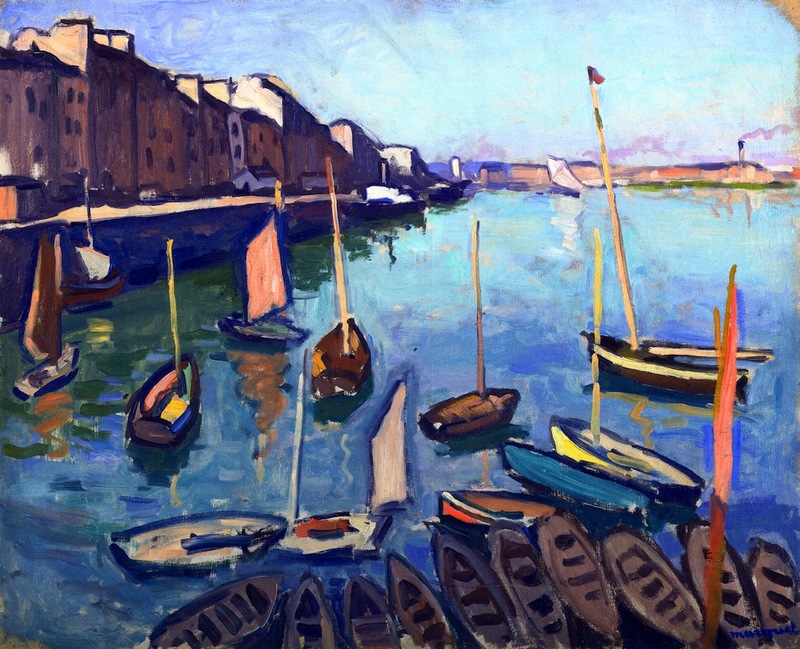 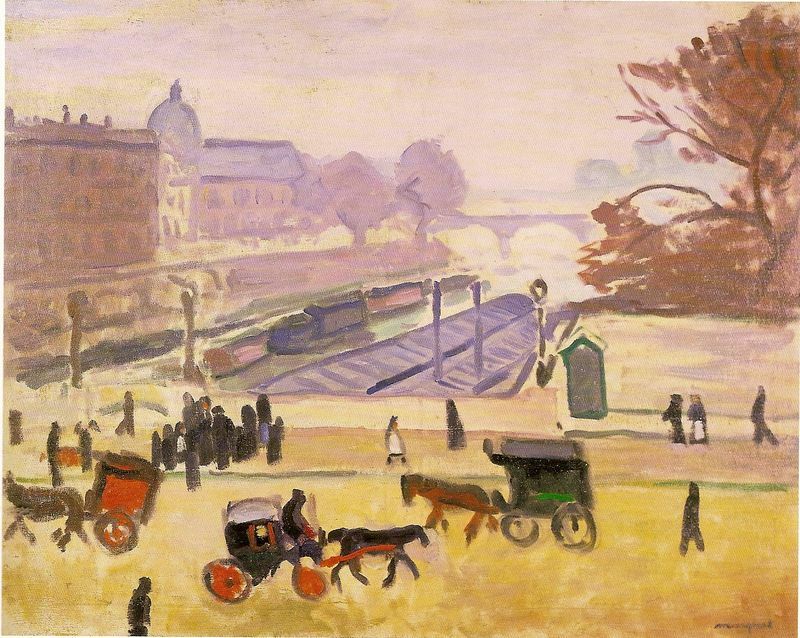 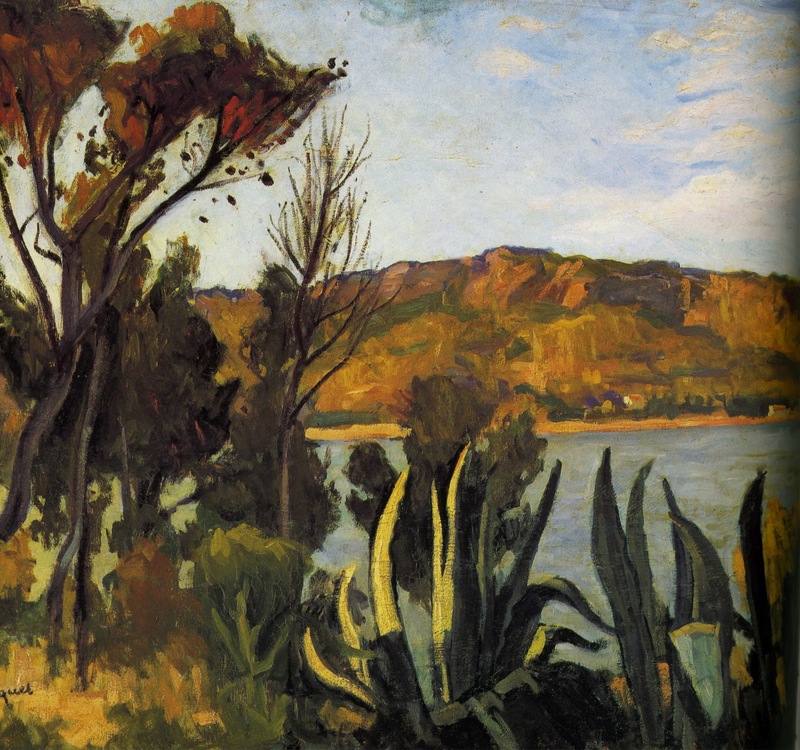 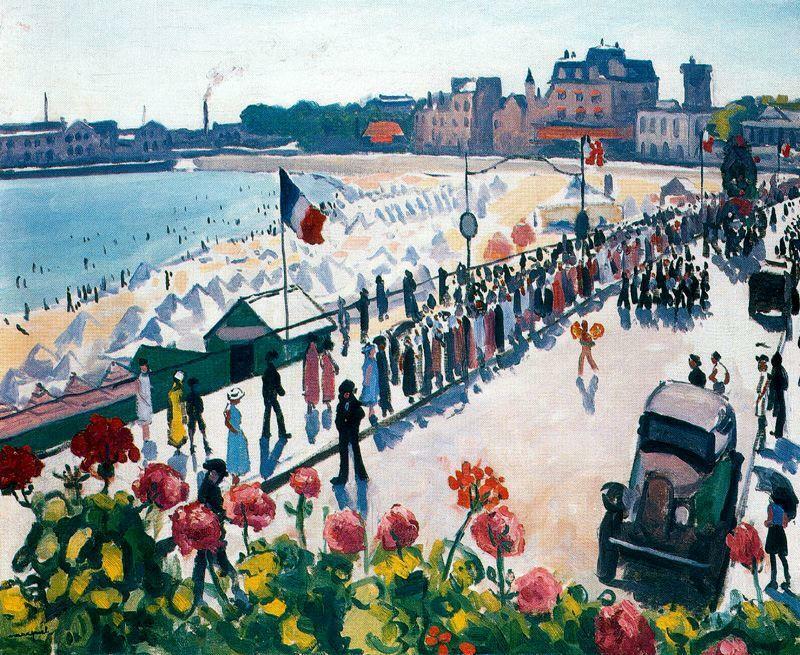 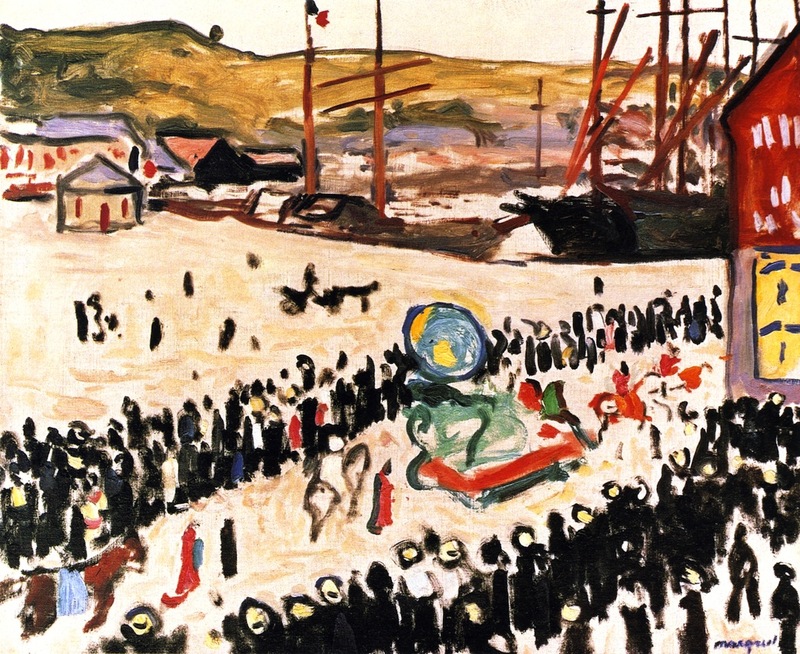 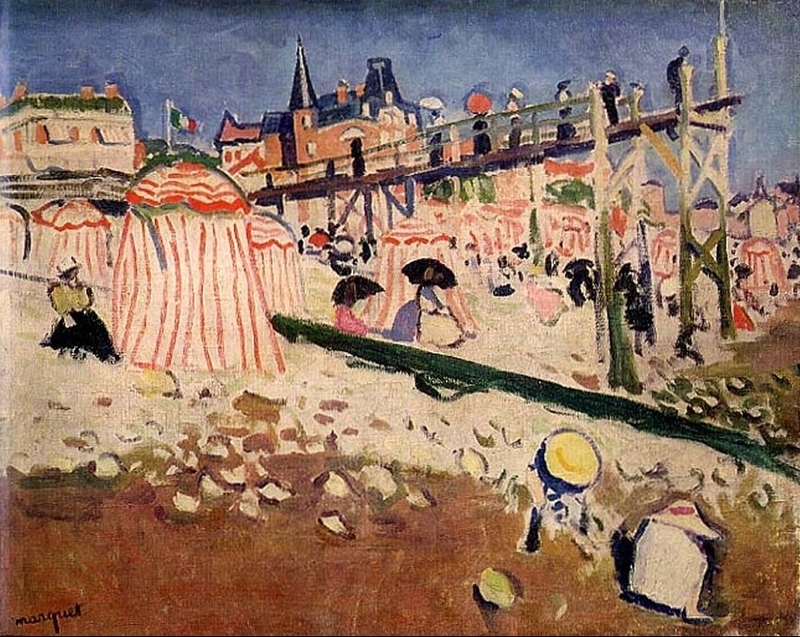 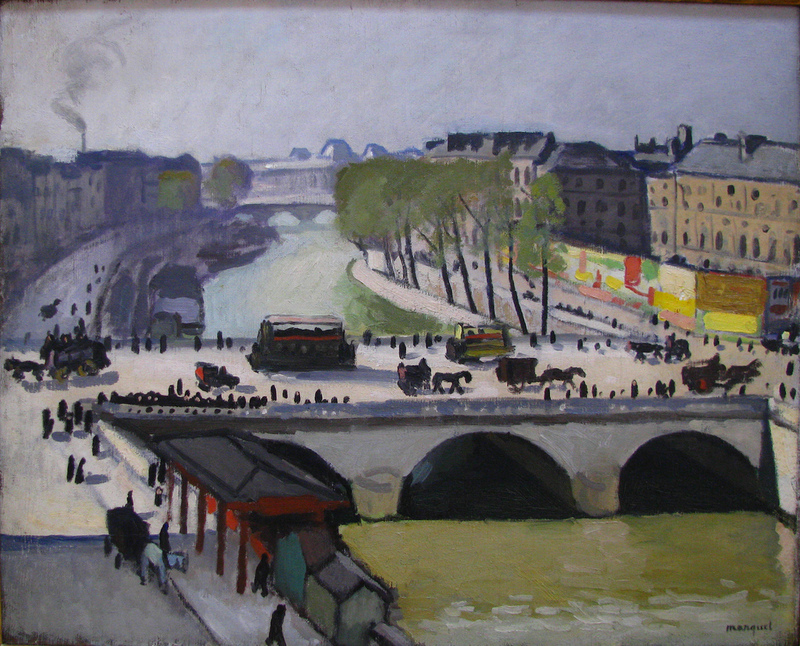 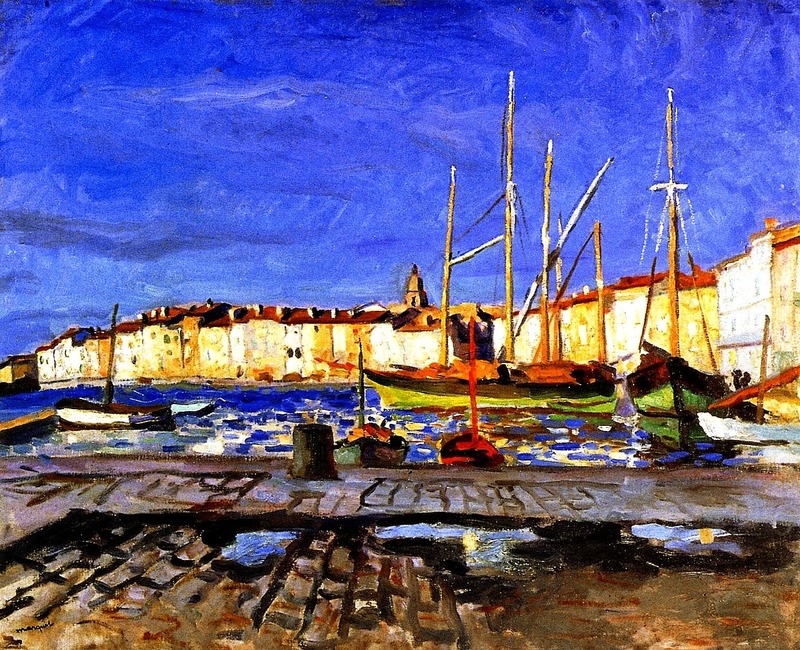 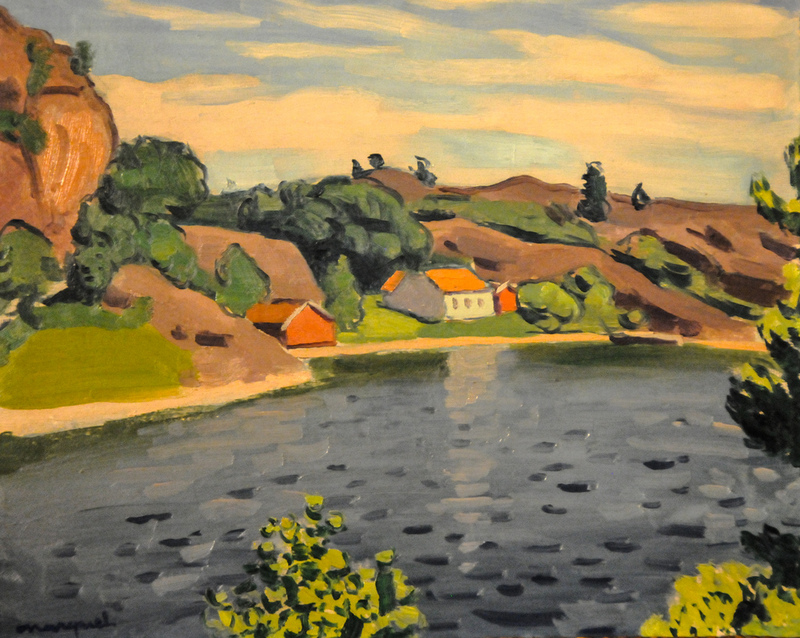 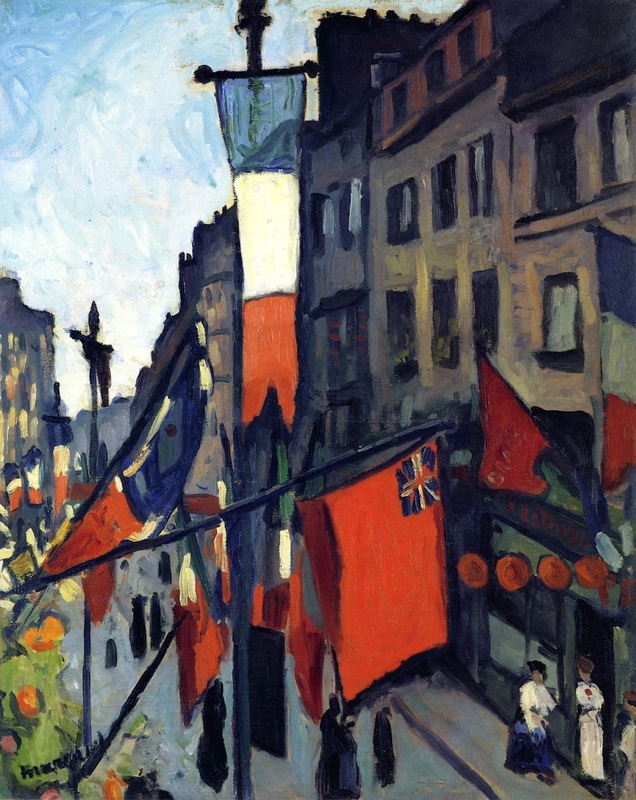 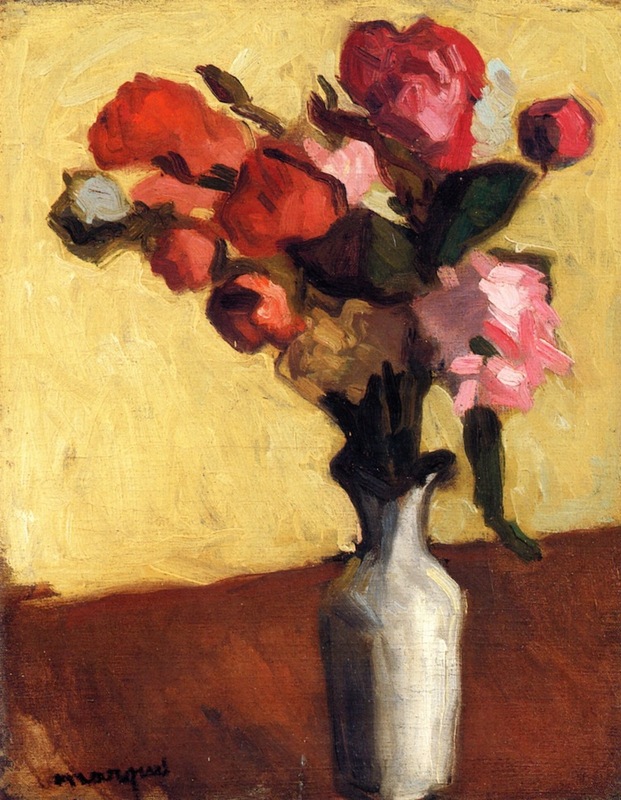 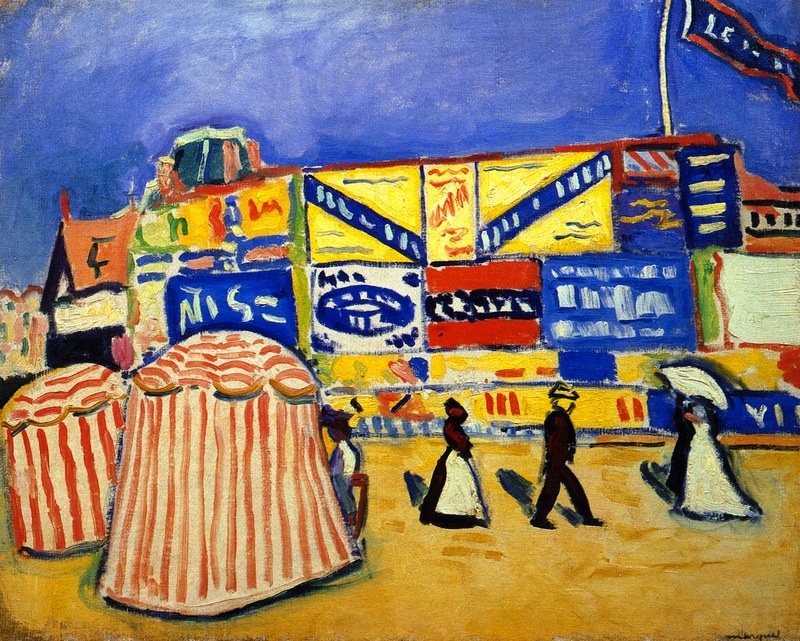 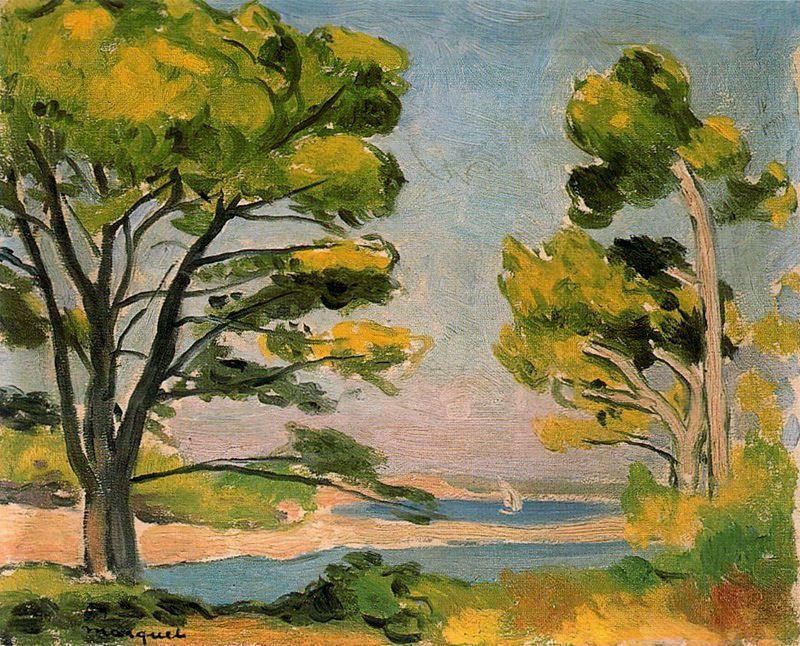 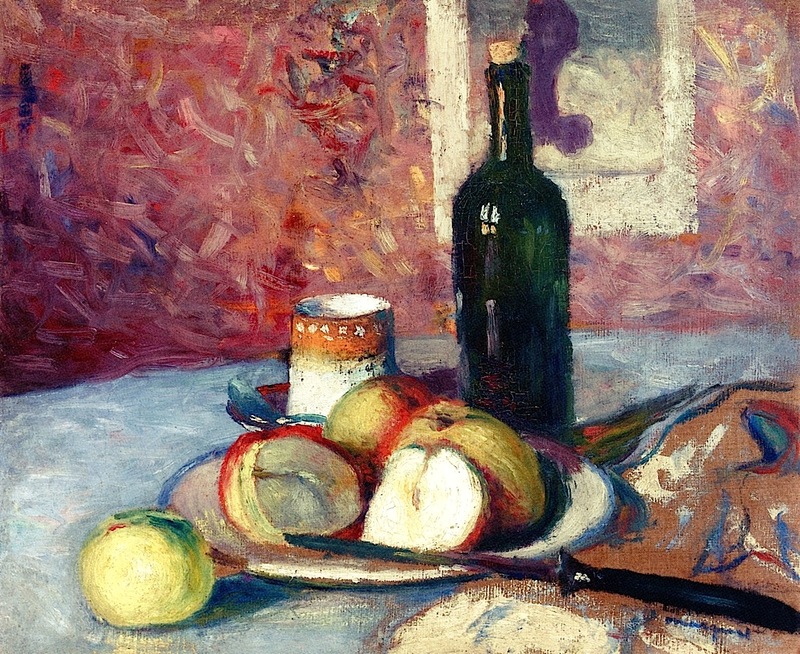 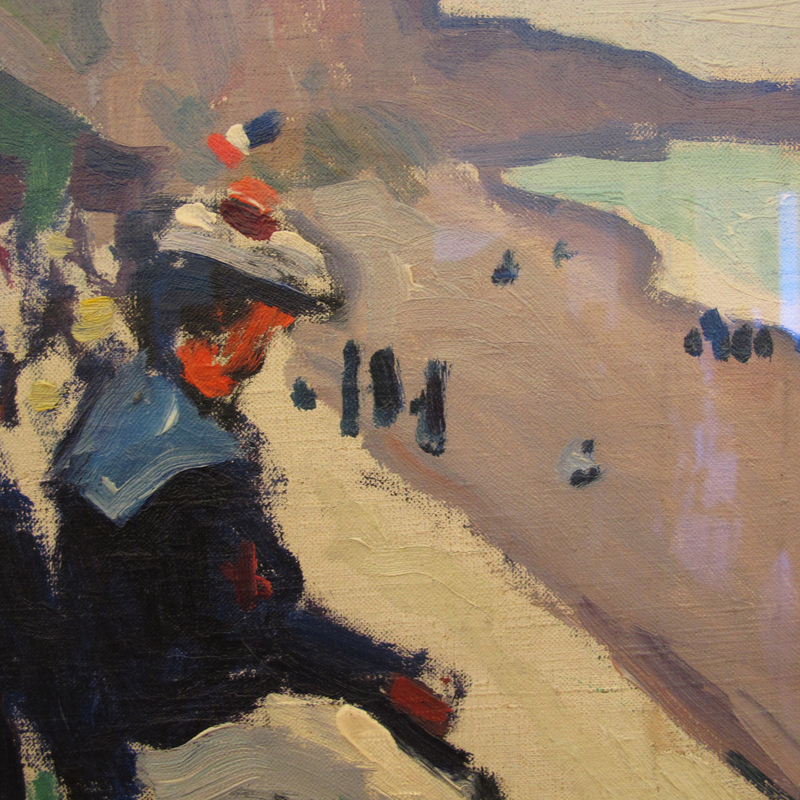 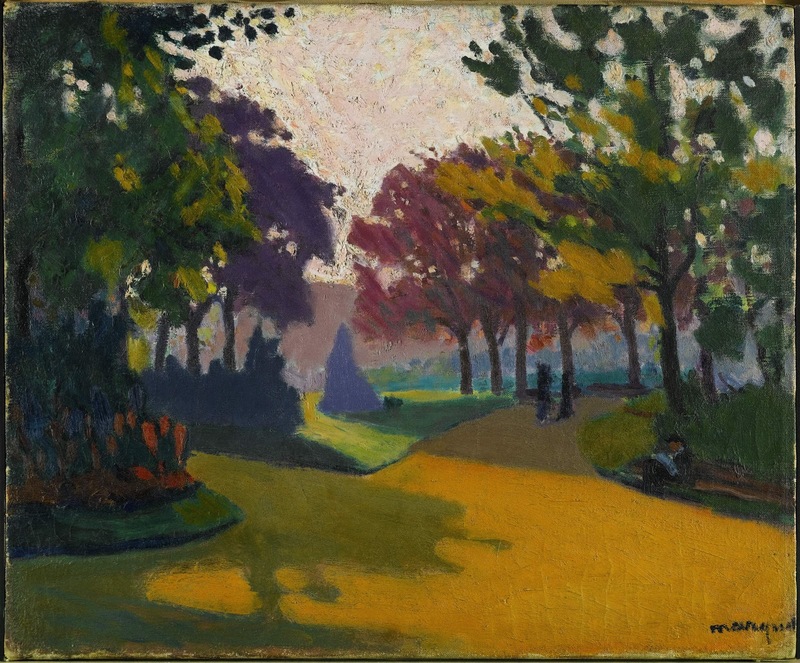 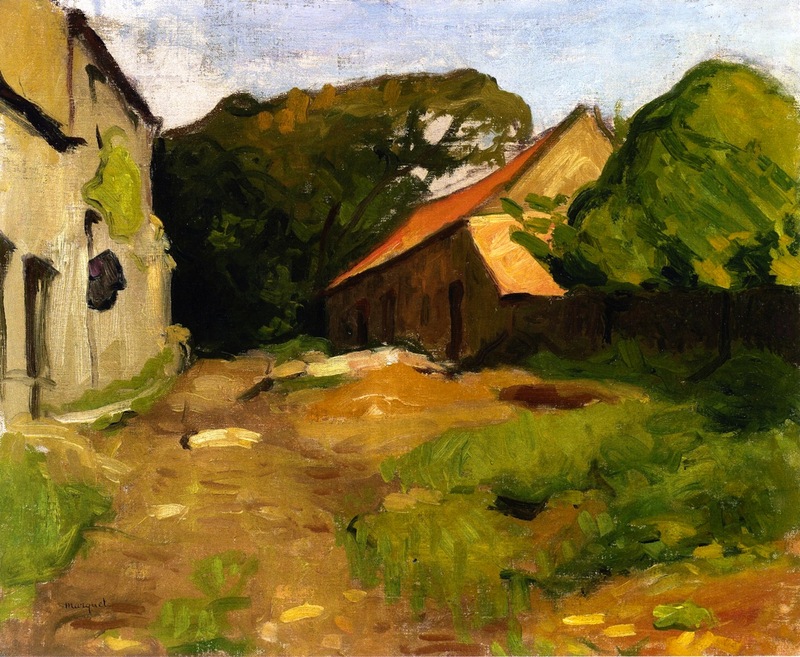 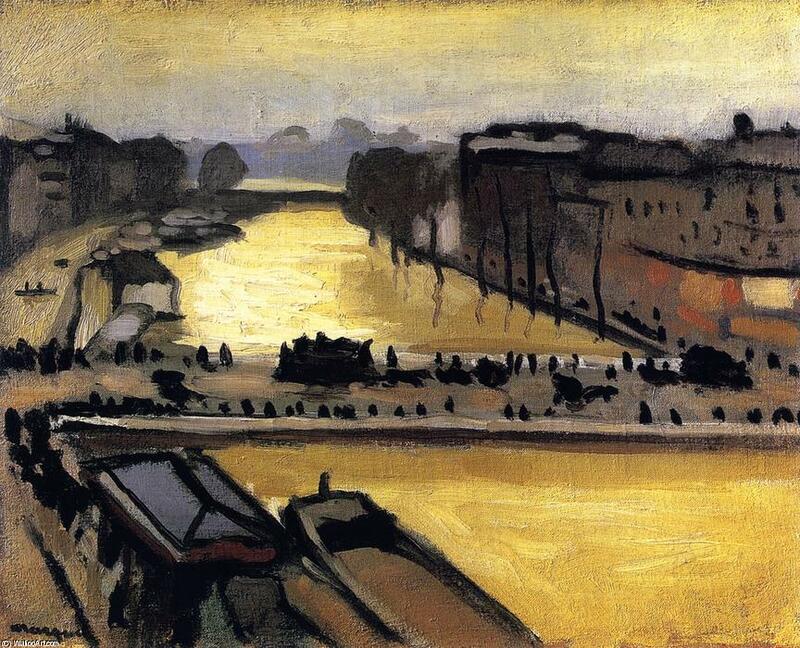 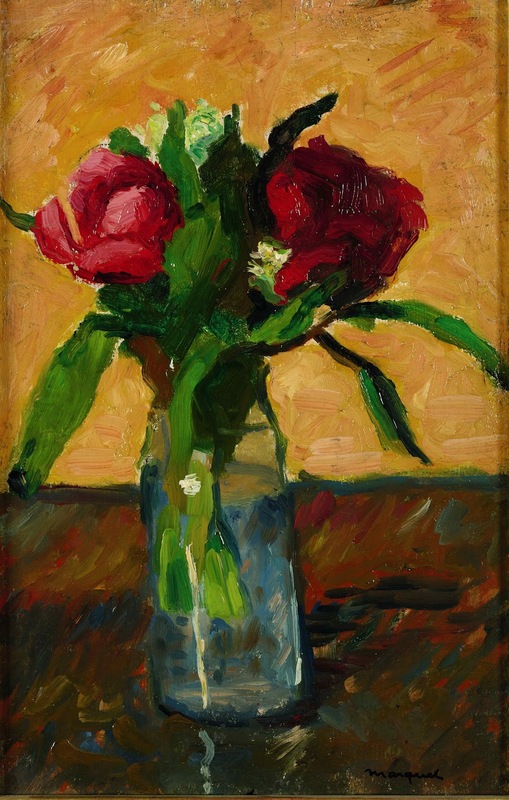 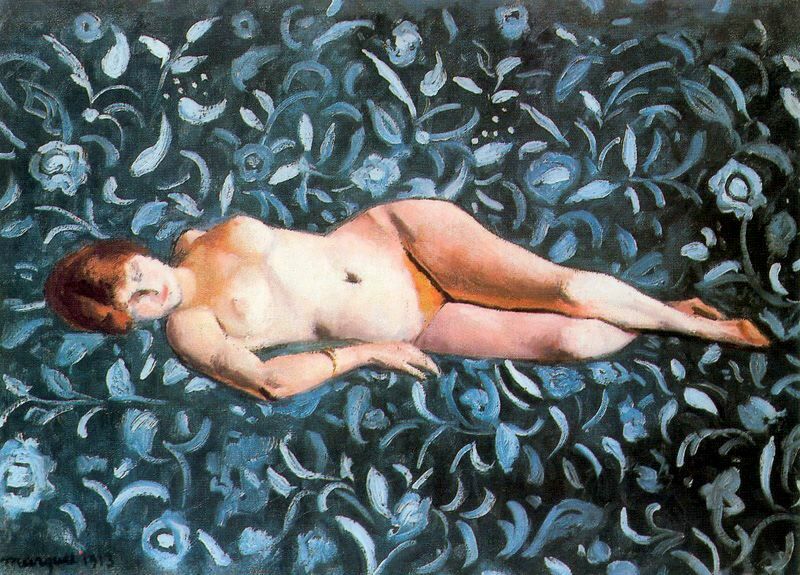 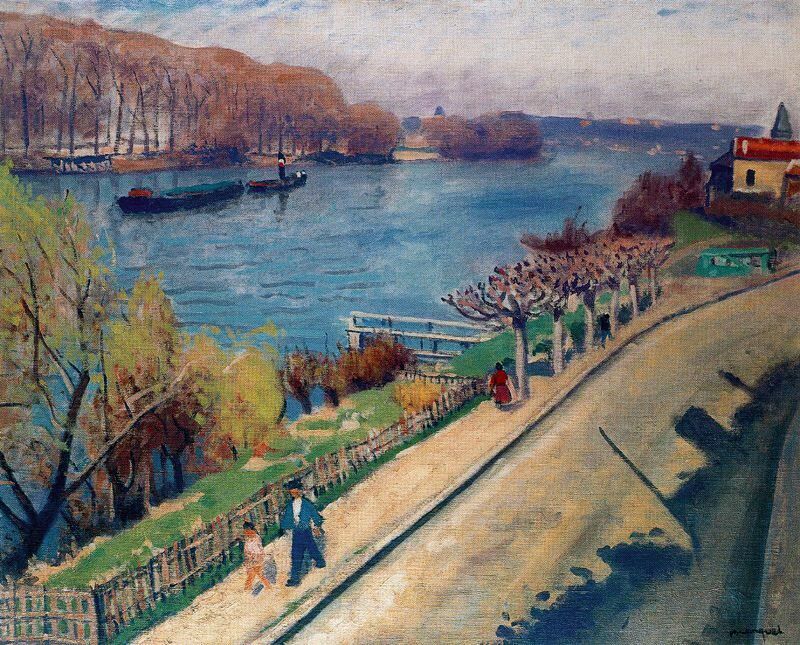 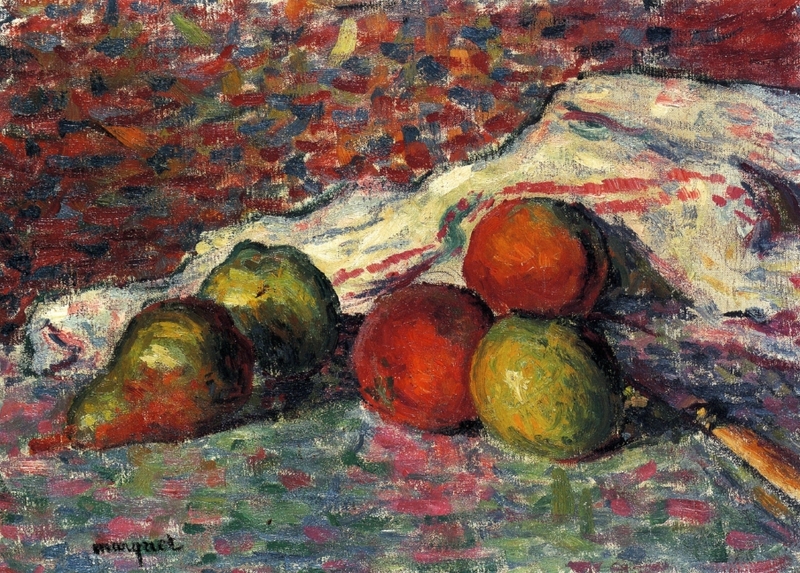 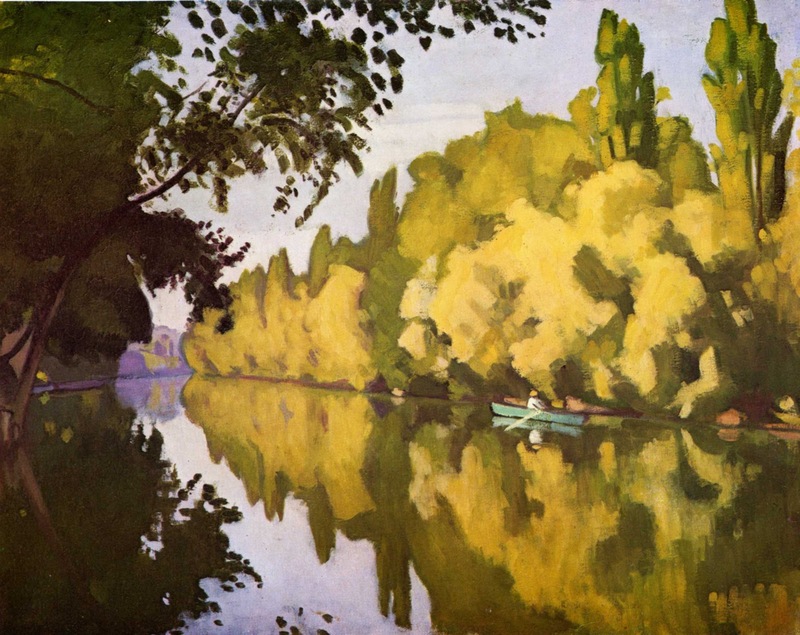 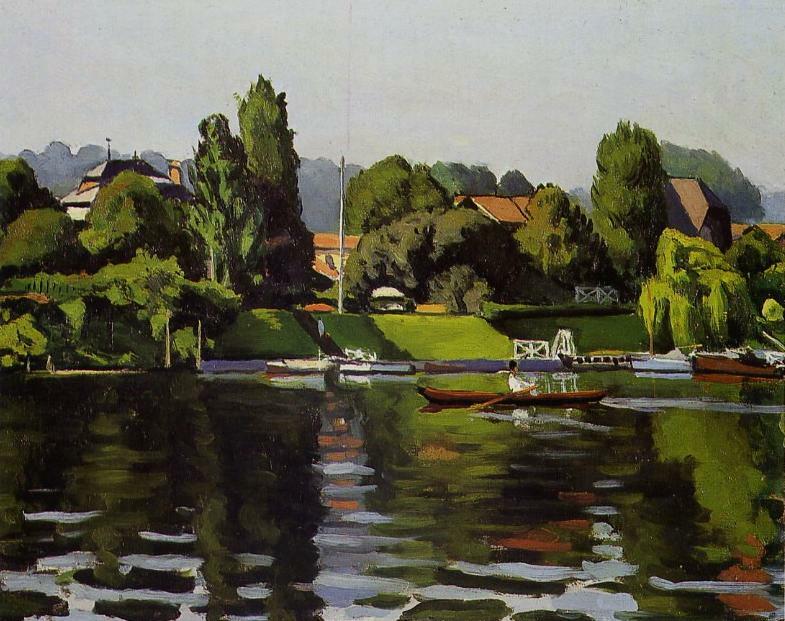 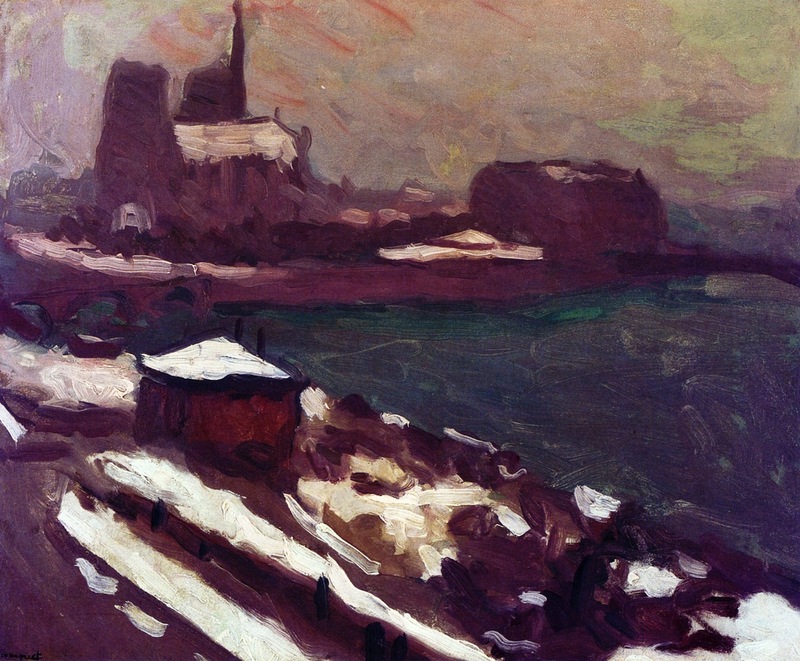 However, he soon abandoned Fauvism and turned to a comparatively naturalistic style. 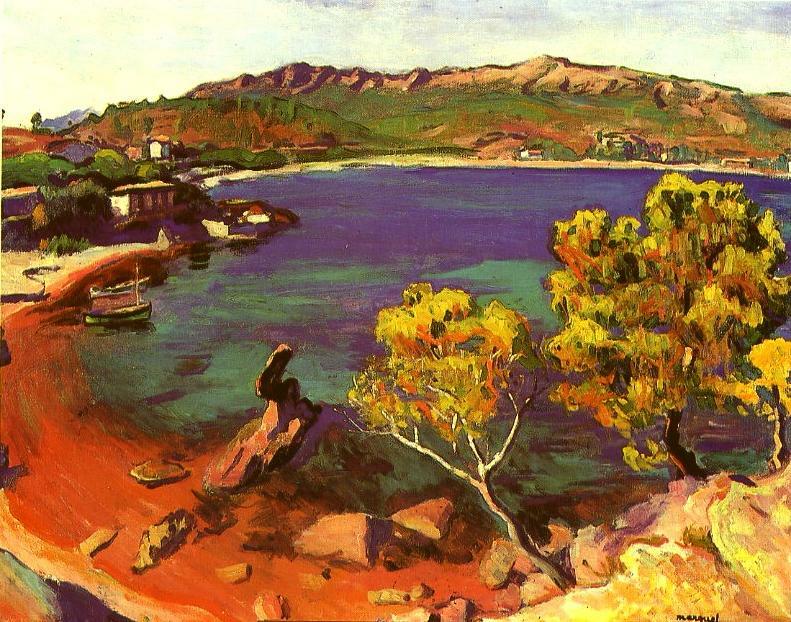 He painted some fine portraits and did a number of powerful female figures (1910-14), but he was primarily a landscapist. 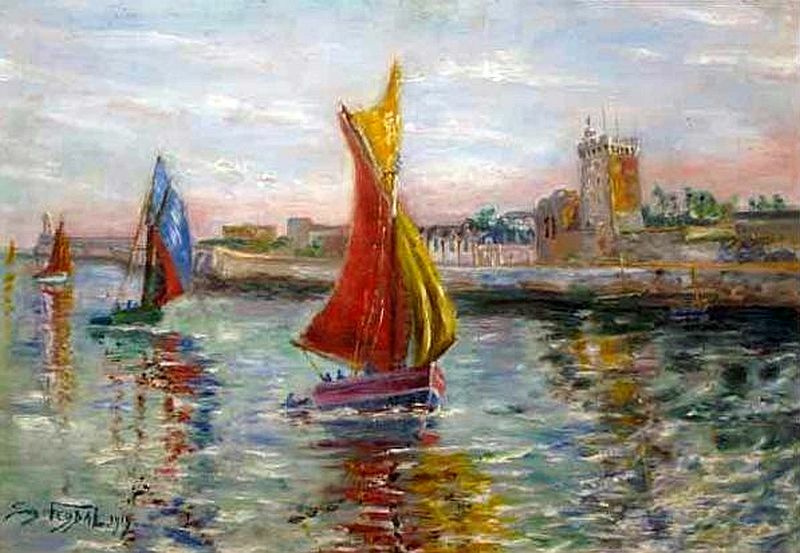 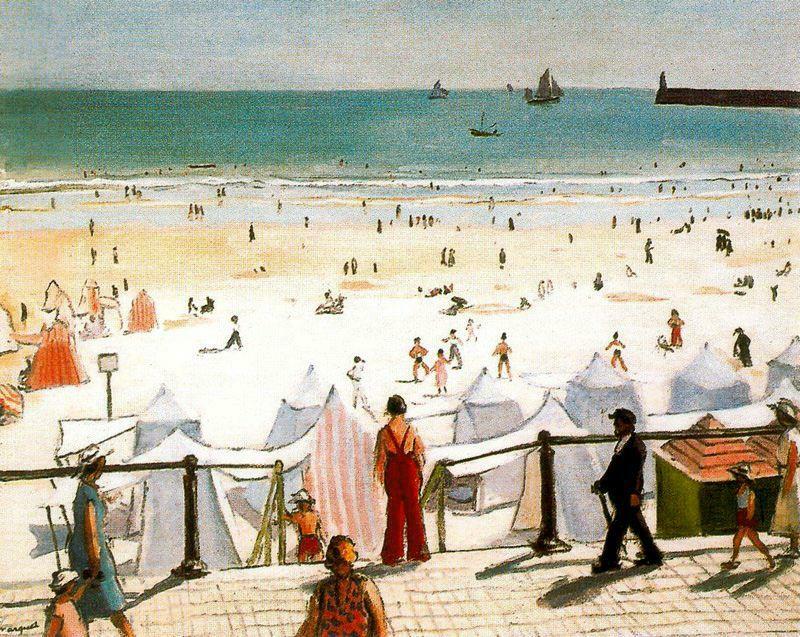 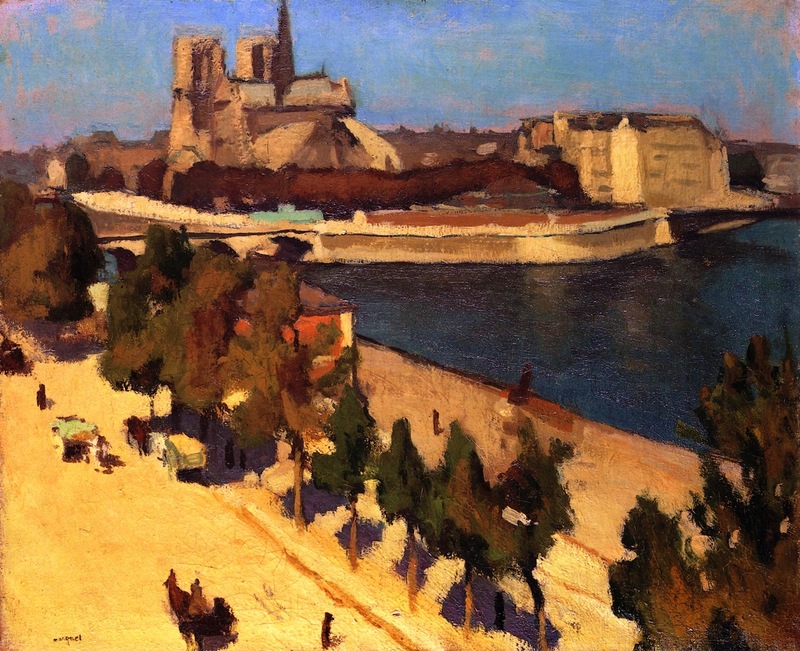 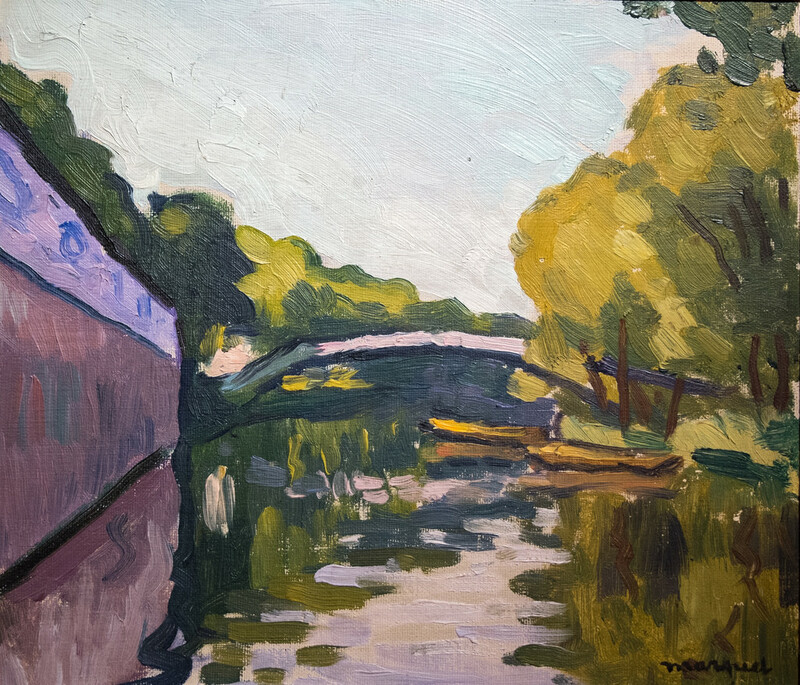 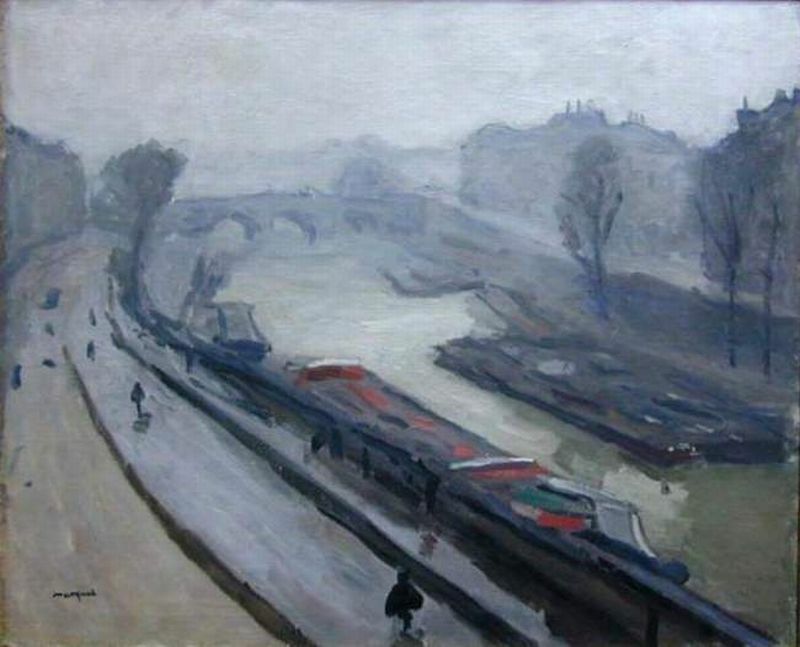 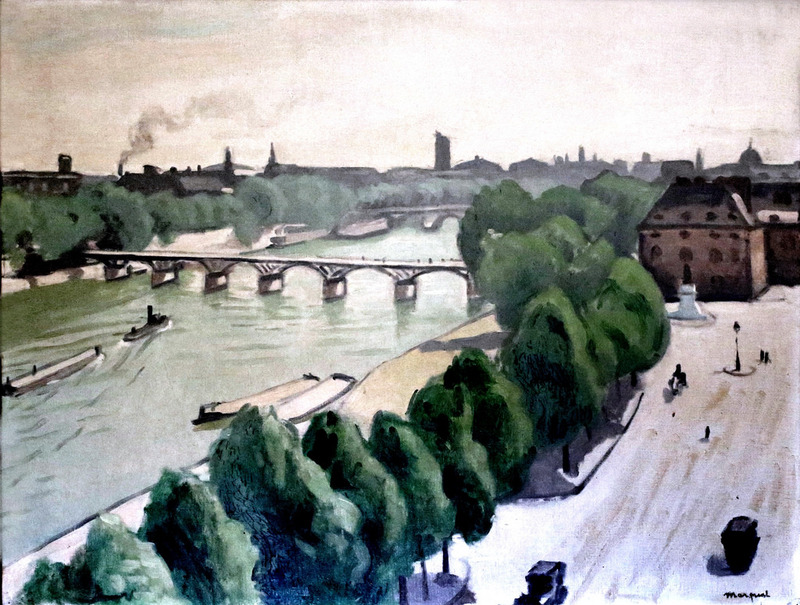 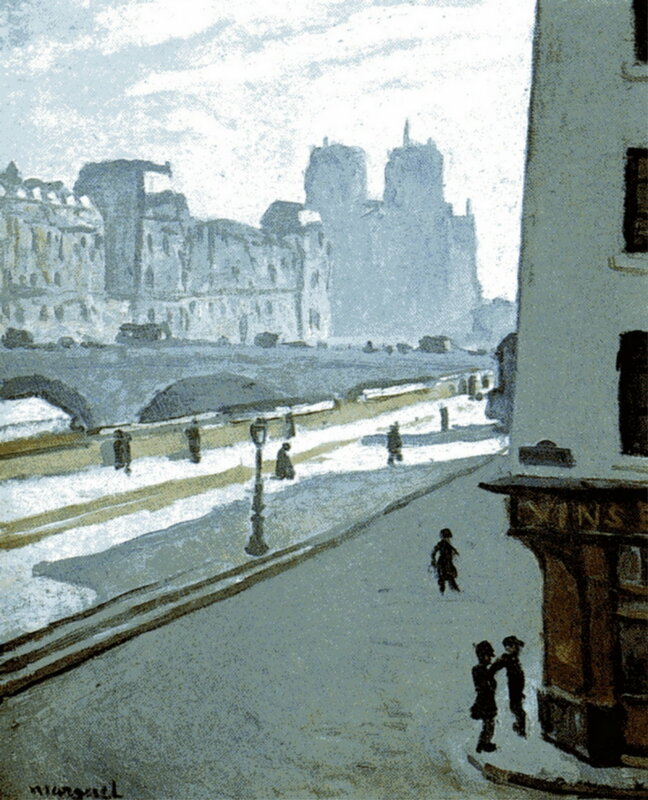 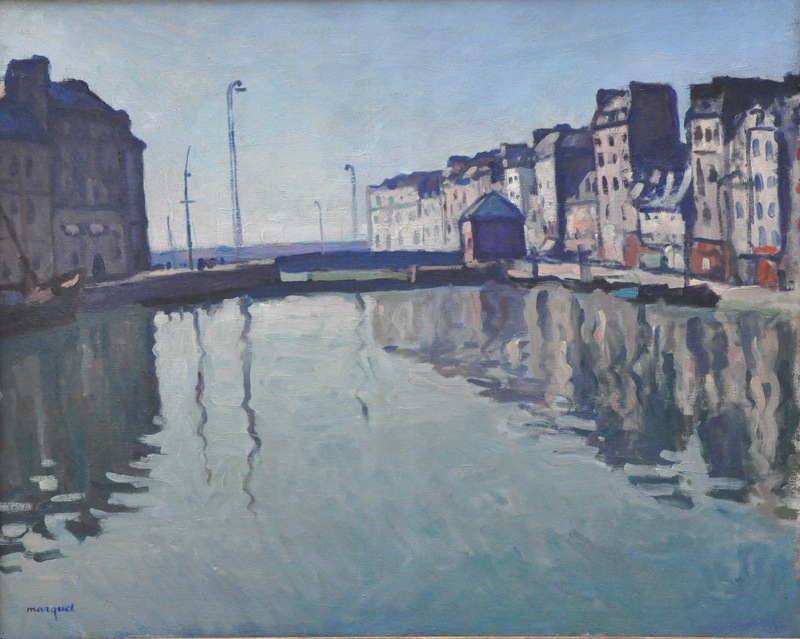 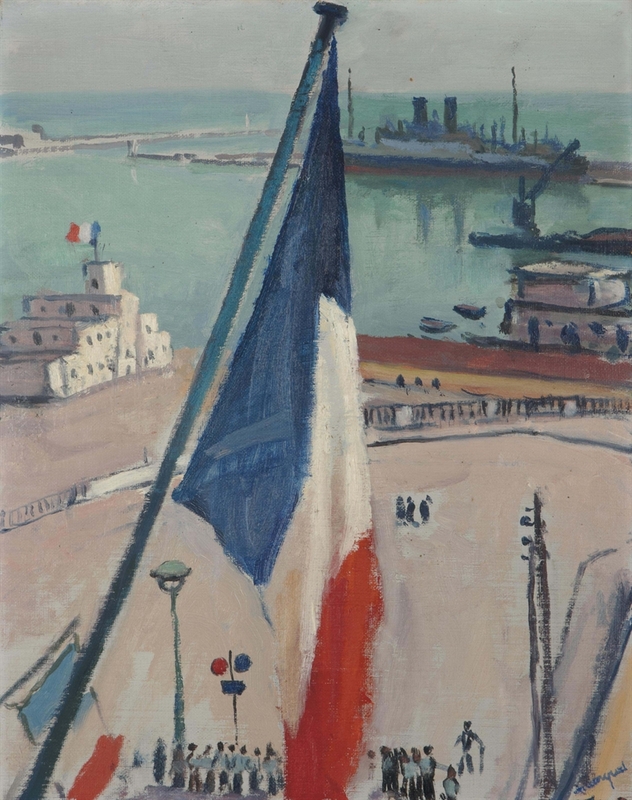 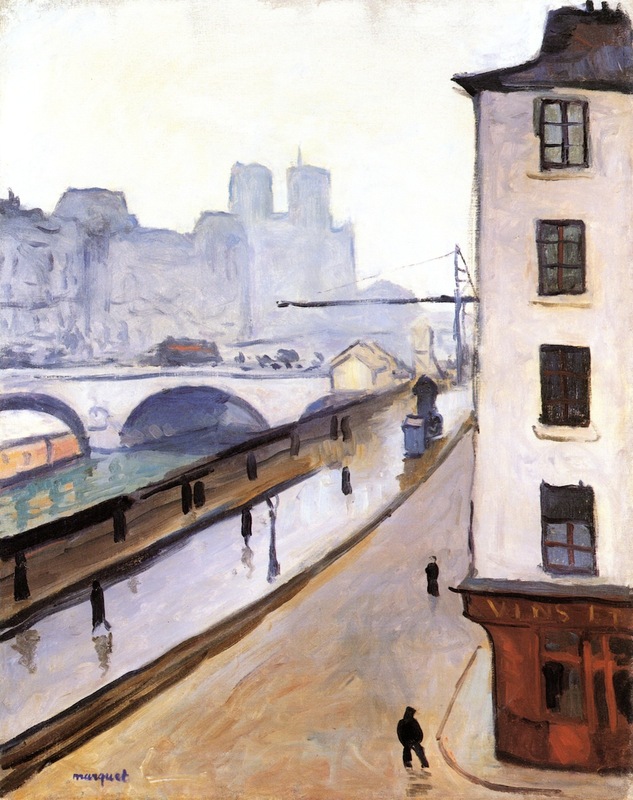 His favourite -eventually almost exclusive- themes were ports and the bridges and quays of Paris, subjects he depicted with unaffected simplicity and great sensitivity to tone. 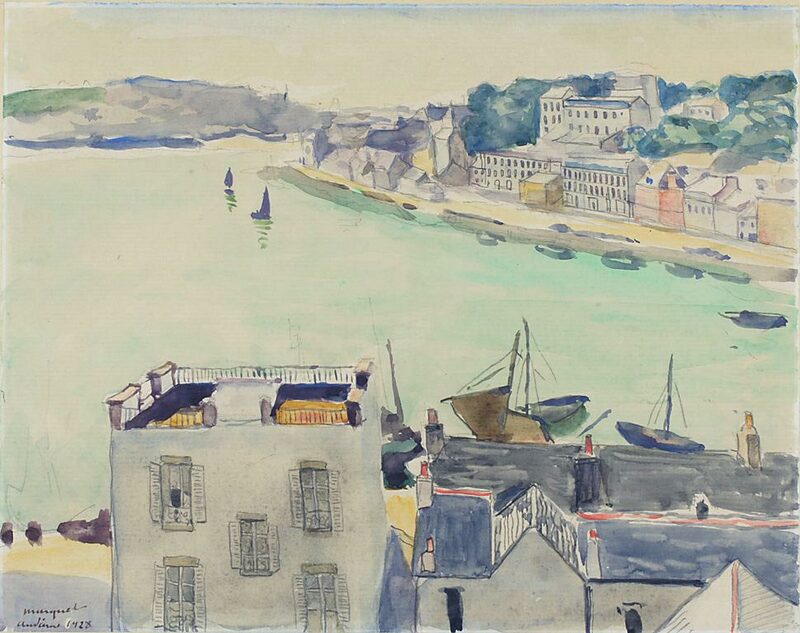 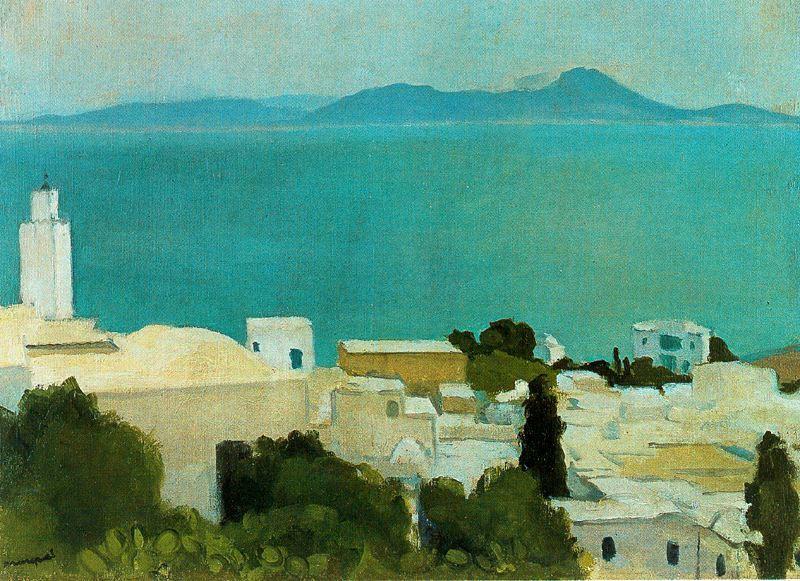 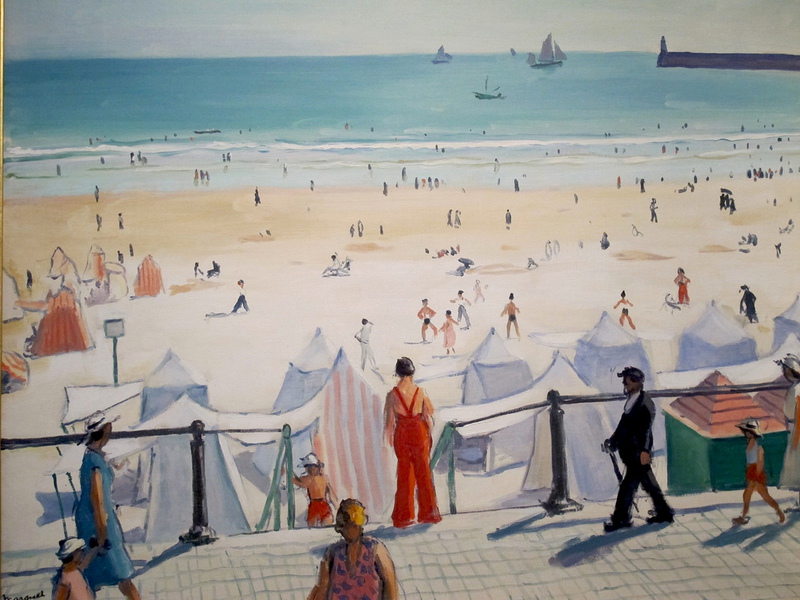 Marquet was an outstanding draughtsman and from 1925 worked a good deal in watercolour.